Blitzen is a 2 yo male neutered Chiweenie. 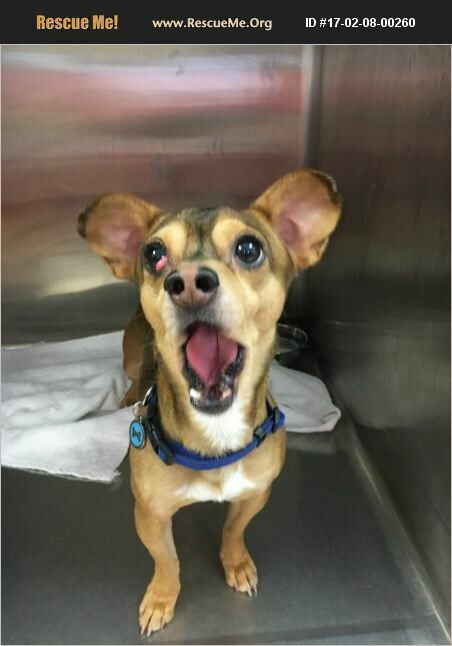 He was rescued from the West county shelter with cherry eye. The eye was surgically corrected once and will need a second surgery before he will be available for adoption. He can be timid at first and is often afraid of men, but can be sweet talked with treats. He is good with children and other dogs.